Meet…. Ed. Who’s also at the front, somewhat to the right. This week, it’s my special pleasure to introduce our accompanist, Ed. Being the rehearsal accompanist means you probably get all the hard work and very little of the glory, so it’s time to state the blinking obvious: without Ed, we’d be very stuffed. 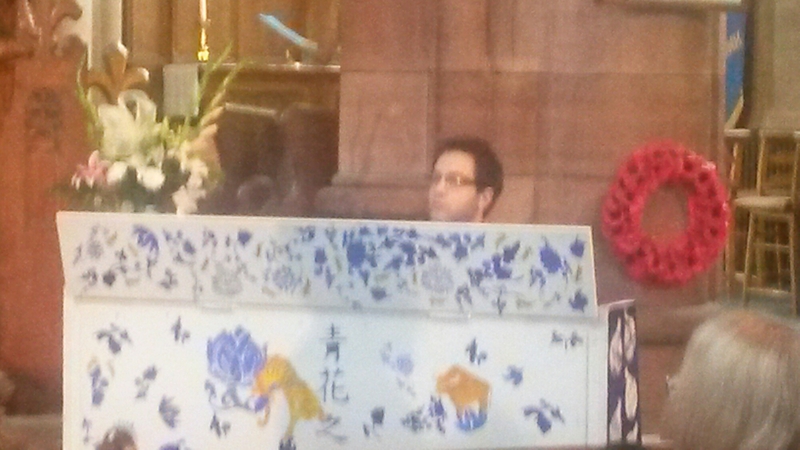 Three cheers for our stalwart pianist! Do you also play any other instruments and if so, which? I tried the ‘cello and the clarinet when I was younger, and learned the organ for three years. I soon realised I should stick to the piano! Tell us something we don’t know about you. When I was sixteen I played for and met HM The Queen, but I doubt she remembers! < Previous Pop-Cultural Briefings – Shut up, Wesley! Next > Pop-Cultural Briefings – …and don’t call me Shirley.